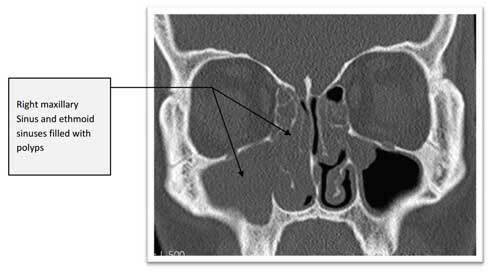 Sinusitis or rhinosinusitis is typically thought of as a severe infection of the air spaces within the bones of the face. 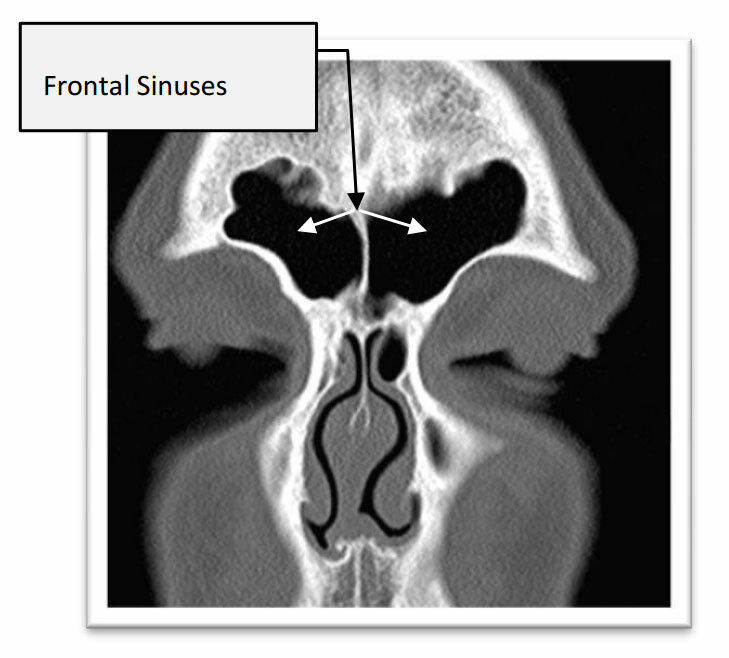 These air spaces or sinuses can get blocked and fill up with pus when infected. Pus discharing from the nose (either from the front or down the back of the throat). The colour is commonly yellow or green. Loss of sense of smell. Most of the flavours in food are smelt rather than tasted. If all your food tastes like cardboard or you can only taste very few things (sweet salty etc. ), then you may well have anosmia. Sinusitis can last years or only a few days, but treatment for the people who have chronic problems may require specialist help. 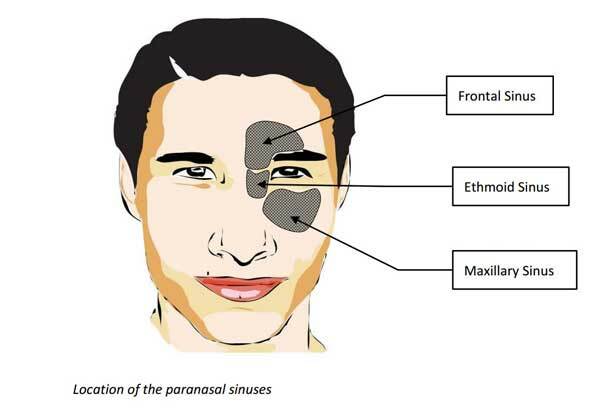 Typically patients need a combination of treatments to deal with severe sinusitis, and may need several months of treatment with antibiotics, nasal washes and steroid sprays. Surgical treatment for polyps and infections of the sinuses is based on clearing the openings of the sinuses so that they do not keep getting blocked. It allows the medical treatments to work properly and stops the polyps or blockage of the sinuses from returning. Surgery for polyps therefore does not cure polyps, it simply clears them out, there is still a high risk of them growning back. For this reason Mr Vik Veer will ask you to continue to use your nasal sprays after the operation as the research suggests that in many cases the polyps will grow back no matter how good the operation was in the first place. 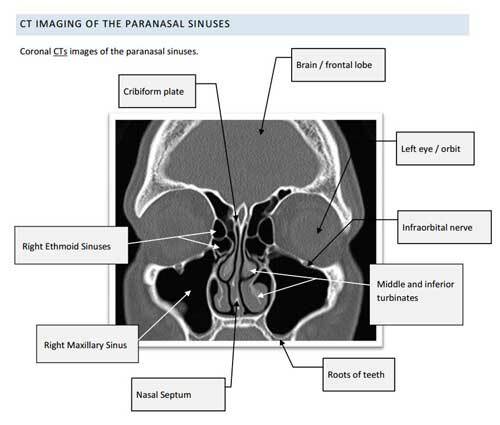 As you will be able to see in the CT Scan images below, infection of the sinuses and polyps look subtly different. 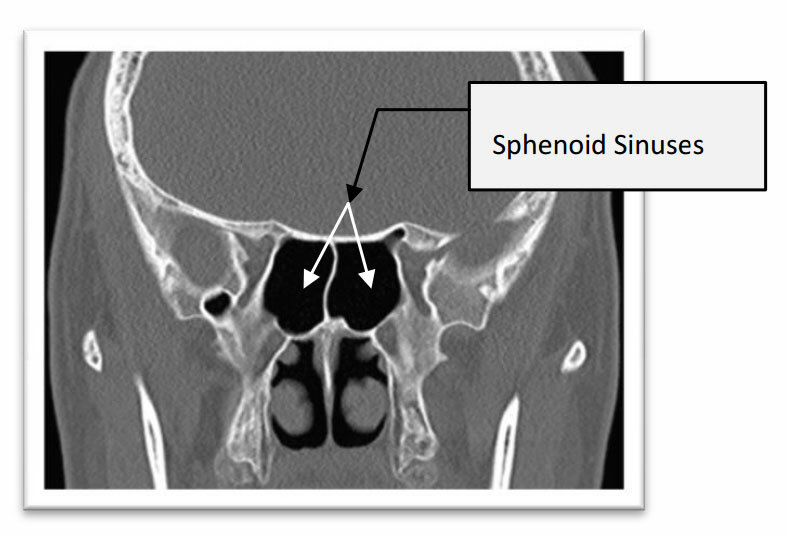 The surgery (known as FESS Functional Endoscopic Sinus Surgery) uses a keyhole camera within the nose and microscopic surgery to the openings of the sinuses. 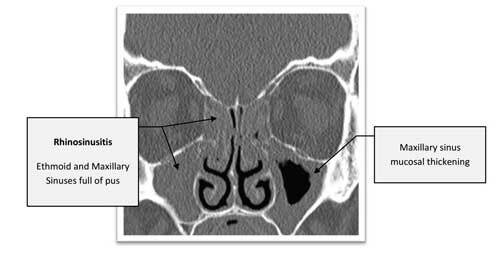 On the last scan after the operation you can see the openings to the maxillary sinuses have been opened up allowing all the debris inside to come out. This also means that these infections are more easily cleared from the nose giving relief to the patient. 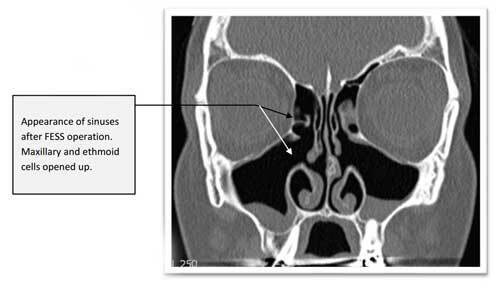 A FESS operation is potentially risky, as the nose is so close to the eye and the brain. For this reason Mr Vik Veer will advocate that medical treatments should be tried first (In line with the international guidelines on this matter), before attempting surgery which should be used in cases where medical treatments have failed. Mr Vik Veer is happy to discuss all the treatments for these conditions so you may understand exactly how to deal with your own individual situation.